JCECE 2019 Counselling will be started from August 2019. 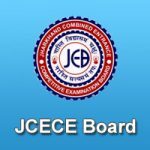 Jharkhand Combined Entrance Competitive Examination (JCECE) offered admission into various institutions in the state of Jharkhand. It is a state level entrance exam which is organized by Jharkhand Combined Entrance Competitive Examination Board (JCECEB). Candidates can get admission in the first year of Agriculture, Forestry, B.V.Sc. and A.H. Degree courses. In this article, we are providing the details of JCECE 2019 counselling including schedule & procedure. JCECE Cut Off 2019 will be announced after the examination. The cut off will be released by the JCECEB. The cut off indicates the minimum prescribed marks which candidates have to secure in JCECE examination. In given below table, candidates can check the official dates of JCECE 2019 counselling. The counselling is conducted as per the combined merit list. On the basis of candidates rank, they are called for the interview round. Candidates can appear in the interview round, according to the date and time according to their category. Candidates are allowed to select the colleges and course stream on the day of counselling. Candidates must bring the document required for the counselling to reserve their seat along with the original copy of aadhaar card. No separate invitation is sent to the candidates for interview round. After the allotment of seats to the candidates, they have to report the concerned college for completing admission formalities. If seats will remain vacant, the board will conduct the second counselling in which candidates can participate. Candidates have to bring the original documents along with the one set of Xerox copy of the documents to attend the interview round. Domicile certificate issued by sub-divisional officer of deputy commissioner. If you have any other queries about JCECE Counselling 2019, you can write your queries in the comment box given below. Sir,when PCM group will have their counselling started for agriculture, forestry, etc…..
Sir,pcb ka councelling kb se start hoga? I want to know that what is the date of counselling regarding PCB stream. Sir please reply this comment!when will be start consoling? The dates are not out yet. Registration counselling k liye ho rhe h kya? when will be the councelling of PCM start and how it will be notified?? It will be started soon. Sir, when pcb group will have their counselling started for agriculture, forestry, etc? WE will update it when official counselling schedule will release. Registration will be started before. Pcb group ka counselling kb se hoga? The counselling schedule is not released yet. Sir at the time of form filling by mistek I fill catogry BC1 in place of BC2.wht will do fr correction plzz tell me. Hello sir,I’m b.n.soren from Bokaro steel city. My CML rank -23801 and CAT rank-2552. Can I find in G.P.polytechnic khutri, Bokaro admission. I’m st category. It will be known to you at the time of counselling. We will inform you when it will be released. Sir jcece ka counselling kb Hoga? Sir my CML rank is 671 and I am from general category can I get BIT sundri? Sir how will we get notified about the counselling Process?.. Wait till the counselling information is released. We will inform you when it will be declared. When will the counselling for agriculture starts? Sir,mera jcece PCB me cml rank 3877 hai aur cat rank 517 hai Kiya mujhe gov.college me seat milega ? We will update when it will be released. We will update the counselling schedule when it will be started. When 2nd counselling starts. Please send me date. i got cml rank 151 in jceceb and cat rank 31.i want to take bsc agriculture.suggest me which is best college for this rank and what is counselling procedure. How to apply for counselling plzz tell..
And where it will be in Ranchi. How to register for counselling? Sir,is there any registration to be done before counselling. Sir,in application form I have mentioned bc 2 but originally I am bc1 will it be valid or not? If I can’t able to submit obc certificate then what will happen ,but later I may submit it.